Qty 1: $73.00 The more you purchase, the lower your per unit price. The pricing tier automatically changes based on the quantity entered. 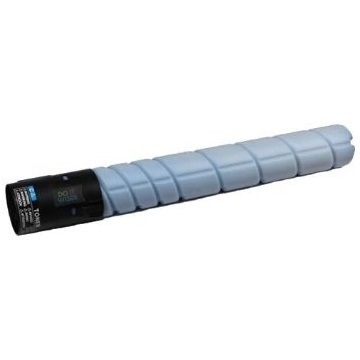 Compatible Konica-Minolta Toner Cartridge, Cyan, 26,000 page yield. Replaces Konica-Minolta part number: A8DA430, TN-324C, TN324C. Color Laser Toner Cartridge compatible with Konica-Minolta bizhub C258, C308, C368.